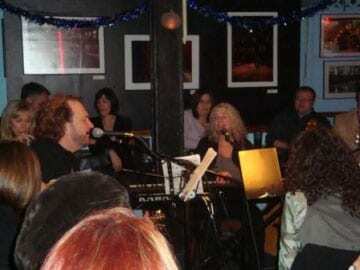 Carole King (center) performs at the Bluebird Cafe. Nashville’s Bluebird Cafe hosted a benefit for Alive Hospice yesterday (Jan. 2), featuring legendary songwriter Carole King with Gary Burr, Georgia Middleman, and Jim Photoglo. The famed venue will host another benefit for Alive this Friday, Jan. 6 with Danny Flowers, Gordon Kennedy, Janis Oliver, and Ricky Ray Rector.